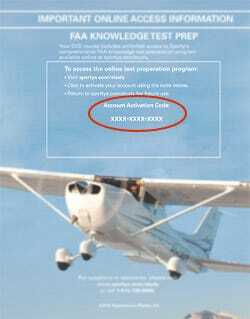 Welcome to Sporty’s Study Buddy™ – the comprehensive FAA Knowledge Test Preparation Program that comes with your Complete Pilot Training Course. Please activate your account using the activation code provided with your DVD course on the “Important Online Access Information” insert. If you are not able to locate your activation code or are having difficulty accessing your account with the code provided, please contact Sporty’s Customer Service at 513-735-9000 or email csmgr@sportys.com.